Although Dr. Flanagan enjoys the variety of medicine and surgical cases she sees as a general practitioner, cardiology and neurology are of special interest. A Graduate of the University of Vermont, with Bachelor of Science in 1988 and Veterinary Degree from Tufts University of Veterinary Medicine, 1992. Dr. Flanagan has now been at PVH since 1996. She can't image working anywhere else. 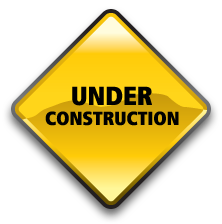 "The staff is great, hard working, conscientious and very personable. The clients and their pets are wonderful." When not at work she enjoys spending time with her three children, Ian, Matthew and Alexandra, her three French Bulldogs and her horse. Dr. Flanagan finds a little time for skiing, horseback riding and a good book at the beach. She considers herself to be one of the lucky few, who truly loves their job. 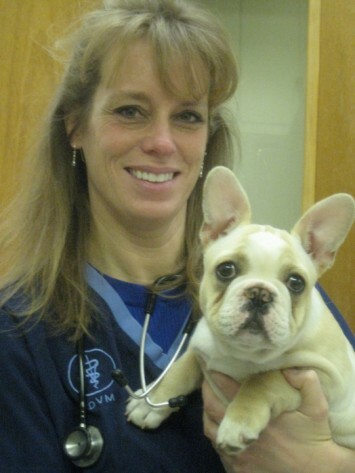 Dr. Laura Berkowitz graduated from Ross University of Veterinary Medicine with honors and finished her clinical studies at Cornell University in 2007. She has had an unconditional love for all critters since a very young age, and decided to pursue veterinary medicine when she found herself intellectually stimulated by the study of medicine and enamored with the comfort of healing. 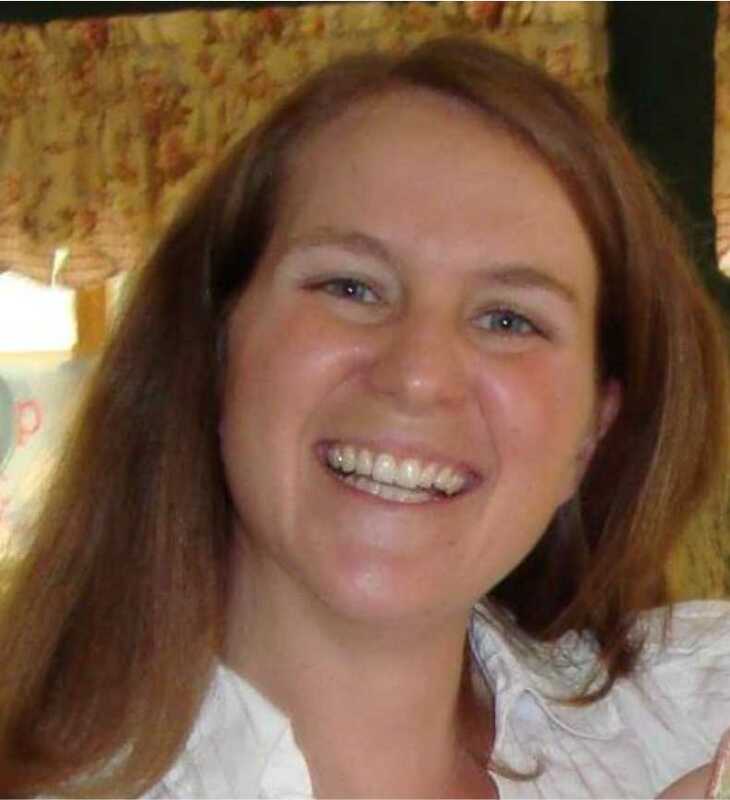 Laura recently moved from the Berkshires of Western Massachusetts, where she worked at a holistic practice. 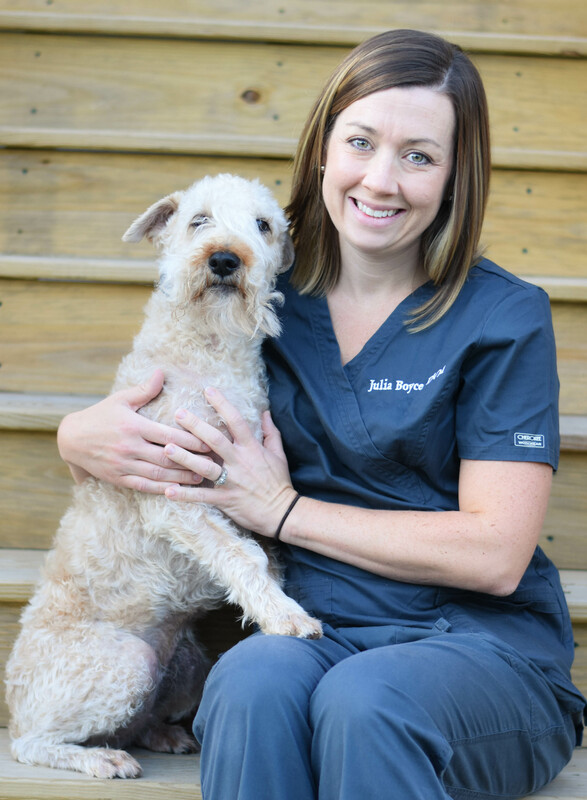 She has a particular interest in internal medicine, soft tissue surgery, nutritional and herbal therapies, and a holistic approach to veterinary care. In her free time, Laura can be found enjoying the great outdoors with her husband Brian and her two Caribbean mutts, Dingo and Kiwi. She has traveled extensively throughout Asia, South America, Europe, and Africa. She has recently combined her love of travel and veterinary medicine by performing spays and neuters at a shelter in Guatemala. She hopes to continue such programs at various locations in the future. Dr. Coldwell decided to pursue a career in Veterinary Medicine at the age of six after learning from her grandfather that she could be a doctor AND work with animals. Fortunately, her dream was realized after she graduated from Texas A&M College of Veterinary Medicine in 2002. Prior to attending Vet school, she graduated from Clemson University in 1998 with a Bachelor of Science degree in animal industries. 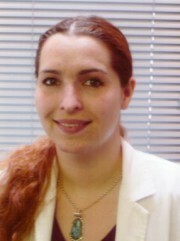 Dr. Andrea Dow is a 2004 graduate of Tufts University School of Veterinary Medicine. Since graduating, she has practiced small animal medicine in the area, enjoying staying in her home state of Massachusetts. Dr. Dow loves the challenge of helping and caring for animals who can’t speak for themselves. Outside of the hospital, Dr. Dow is a full-time mom, raising her two young daughters, Anabell and Julia. Her interests include boating on a lake in Maine, reading, and quilting whenever she has a little free time. Dr. Boyce grew up on Cape Cod but has been a Pepperell resident since 2010. She graduated from the University of New Hampshire with a Bachelor’s of Science in Pre-veterinary medicine in 2004. She fulfilled a lifelong dream of being a Veterinarian in 2008 from the Atlantic Veterinary College in Canada. Dr. Boyce joined us in 2017 after practicing at a hospital in southern New Hampshire since her graduation. She has a special interest in internal medicine, ultrasonography and thrives from forming strong bonds with both her patients and the people who love them. She very much so looks forward to working here in the community that she lives and forming those relationships close to home. When not at work Dr. Boyce loves spending time with her husband, Chris, and their three children. Free time is not frequent but when they find it she loves to spend time outdoors with her family, working out and rooting for the Patriots! They share their home with their wheaten terrier Cricket and a feisty cat named Fenway.